September is just around the corner and as always, I have that back to school feeling! I love this time of year....Autumn/Winter is my favourite fashion season, which means it's also time for a much needed wardrobe update....any excuse! There is a bit of a mish-mash of seasons at the moment in the high street with most shops still trying to shift their summer wear. Online shopping I've found is the best way to see the new collections without having to trawl through all the stuff you don't want or need! Have I mentioned already that I love stripes?!?!! 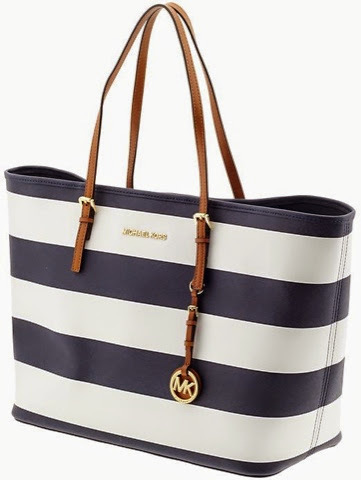 I have a weakness for black and white (or navy and white) stripes and when I first saw this bag in House of Fraser a couple of months back, I fell in love with it immediately! This tote bag is perfect for any season in fact and I love the contrast of the tan coloured handle against the monochrome. A good size too (I can't be doing with small bags - where do you put all your stuff??) with a nice sturdy base. This is my must have buy. There is something about this deep burgundy/wine colour that I absolutely adore at this time of year. 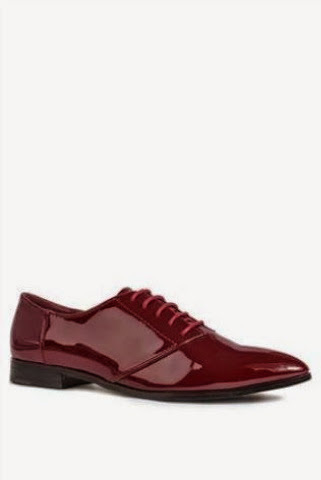 It's a colour that just screams Autumn/Winter and I so love it on these brogue style shoes from Next. I'm not one for wearing flats really, I love a bit of height, but I have seen a few really stylish loafers and brogues for this season that have caught my eye so I may have to purchase one at least! My weekend staple - denim jeans. So easy and hassle-free. They can be dressed up or down, worn with heels or flats and in my opinion, TopShop are still coming up trumps with the best fit, style and variety on the high street. 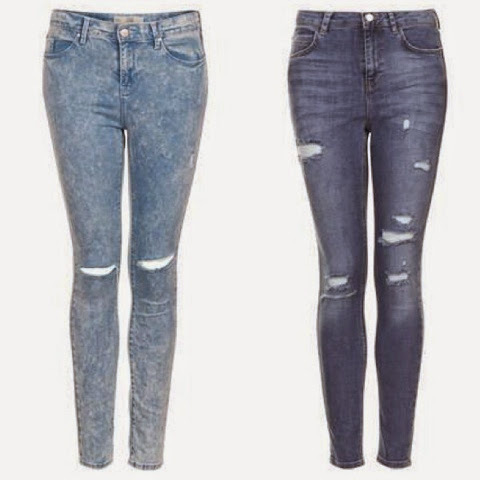 Boyfriend and distressed jeans have come around again and this time they are of a lighter wash. I don't own any in this style as most of the jeans that I have are of a darker wash, so I will be investing in these two above from the Leigh range. 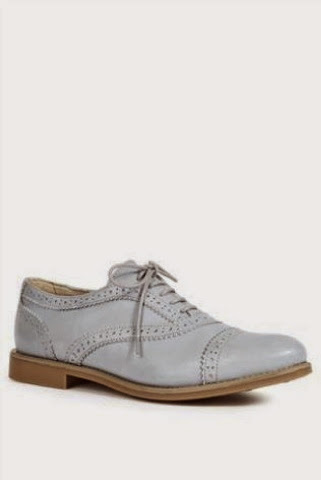 Still in love with pastels, I love these duck egg blue brogues from Next again. Next have really impressed me as they have a great fall collection. I'm not one who normally finds anything in their shops, so I'm really surprised that I have included two of their items in my wishlist. These would look really cool with the distressed boyfriend jeans, simple white vest and a blazer - weekend chic! 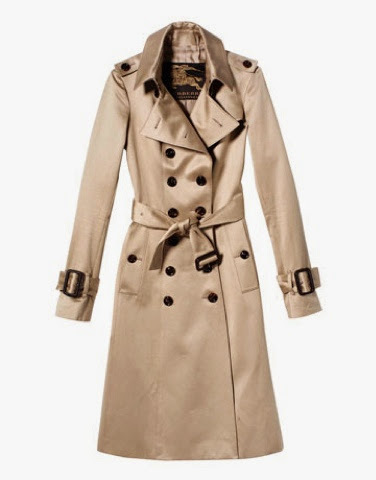 Hello?......I have been lusting after a Burberry trench for years!! Every spring and every autumn it sits in the back of my mind calling me....seducing me! I was very close to buying one about 6/7 years ago now at the Burberry factory in Hackney where it was heavily reduced but still quite pricey. I think one day I will just have to treat myself...it's an investment!!! 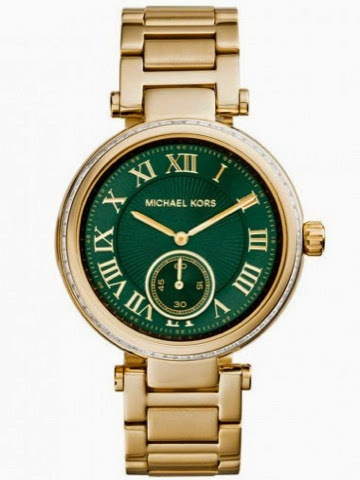 There have been so many versions of this Michael Kors watch but I really like this one with the green dial. I find the bottle green colour against the gold looks very classic and timeless and won't date as easily. I also like the roman numeral hour markers - very elegant. This one might be a birthday present to myself! This look above of my favourite winter colour, the deep burgundy red, is from last years Burberry's Autumn/Winter collection - this whole look is right up my street! I love it. 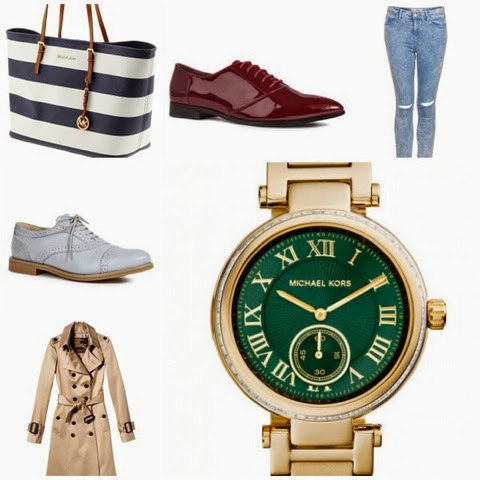 What's your wishlist for the new season?